Vehicle has been located in the West Yellowstone, Montana area. On June 15, 2018 the Richland County Sheriff's Office received a report of a stolen vehicle from a resident a few miles northwest of Sidney, Montana. 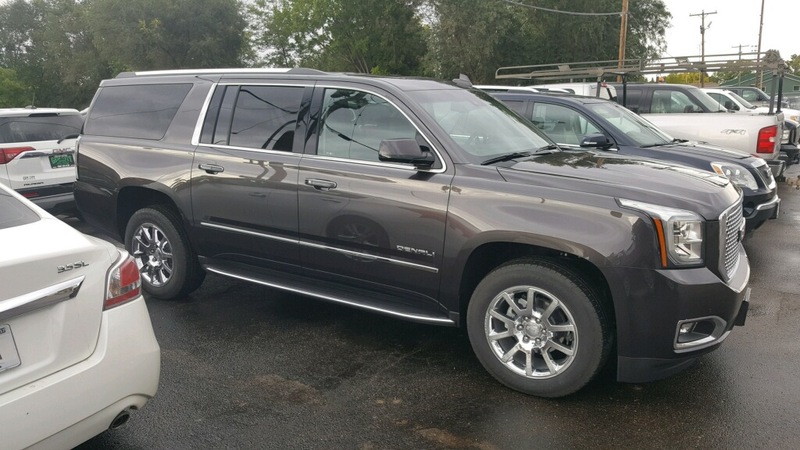 The vehicle was a 2017 GMC Yukon XL Denali, gray in color with Montana plates 27-8414D. The vehicle was parked about 8PM on June 14, 2018 in their yard and it was found missing about 1030AM on June 15, 2018, the vehicle had about a 1/4 tank of gas and keys were in vehicle. Richland County Crimestoppers has a new Web page format and Facebook page, please check it out. ** Check the Wanted Person section of the Richland County Crimestoppers website each week for those wanted in Richland County. At least one new entry will be posted each week with photo if available. Crimestoppers is asking for information that would help lead to the arrest of those with an active warrant in Richland County. Value of tools taken is over $3000.00 with many of the items marked with black or red Permanent marker with the name of the Construction company. This week’s Richland County Crimestopper is asking the community to help in locating a dog that bit a 13-year old female as she was walking on 6th St. SE in Sidney at about 5PM on October 26, 2017. The Sidney Police Department received a report from Sidney Health Center that a 13-year old female had been brought to the hospital with a dog bite. Upon speaking to the victim, it was learned that she had turned off South Central Ave onto 6th St. SE and was walking eastbound. The victim stated that she had been walking for a few minutes on 6th St. SE when she saw a brown colored dog, that she believed was maybe a pit bull in a yard next to the sidewalk she was walking on. She did not notice the dog coming up behind her and was bit by the dog on the back of her leg. The dog then ran off and the victim did not see where the dog went. She then went home and was taken to the hospital by her family. The bite caused puncture wounds and bruising to the back of her right leg. The victim is not familiar with the area but feels she or the person that was with her could identify the dog if she saw it again. It is very important that this dog is located so that it can be determined if the animal has had it proper rabies shots. Crimestoppers has been asked by the Richland County Health Department and Sidney Police Department to help located this brown dog that may be a pit bull type. The dog may be owned by someone living on 6th St. SE or a close to the area. The victim will have to start a series of shots if authorities are unable to determine if the dog is current on it shots. Please contact Crimestopper, the Sidney Police Department at 406-433-2210 or the Richland County Health Department at 406-433-2207. Richland County Crimestoppers has a new Facebook page, please check it out. This week’s Richland County Crimestopper is a reported stolen vehicle from Key Energy Service located north of Sidney on Highway 200. 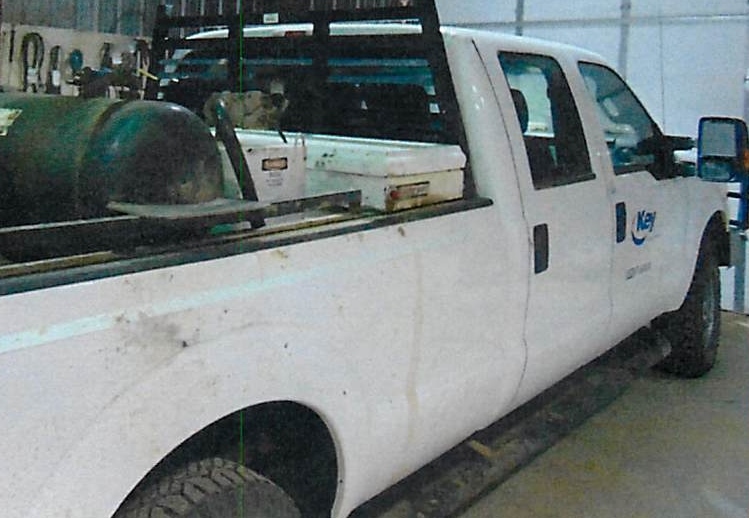 On May 9, 2017 at about 5:00 PM the Richland County Sheriff”s Office received a report from a Key Energy Supervisor that missing from a their company yard was a White 2012 Ford Super Duty Crew Cab pickup with Montana plates 27-9002C. The vehicle has Key Energy decals on both front doors and one on the tailgate. The vehicle has damage to the rear box and left tail light. The vehicle has an “L” shaped diesel tank and misc items in the box. The vehicle is valued at about $30,000.00 and the vehicle has been placed in the National Criminal Information Center (NCIC) as a stolen vehicle. ** Check the Wanted Person section of the Richland County Crimestoppers website www.richlandcs.com each week for those wanted in Richland County. At least one new entry will be posted each week with photo if available. Crimestoppers is asking for information that would help lead to the arrest of those with an active warrant in Richland County. 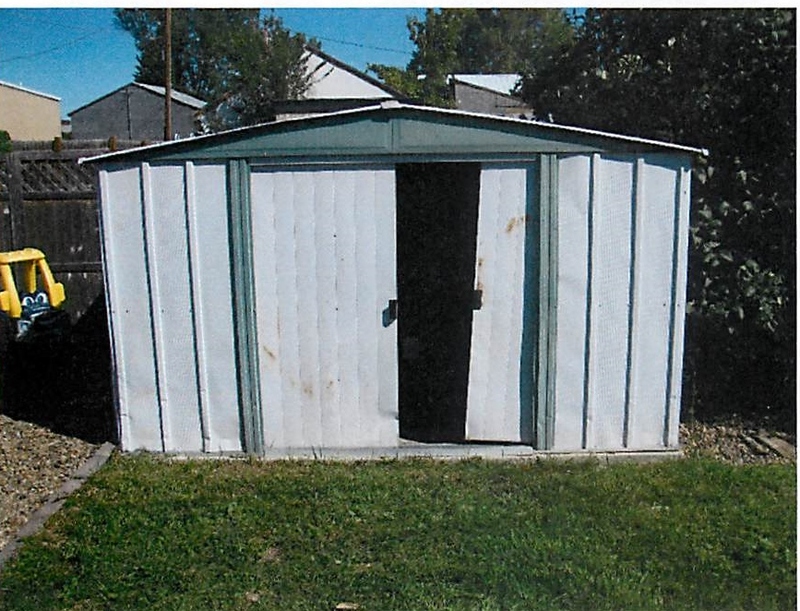 This week’s Richland County Crimestopper is a reported Criminal Mischief to an unoccupied trailer house in the Thiel subdivision located southeast of Sidney. Upon investigation it was found that on January 13, 2017 a report was filed with the Richland County Sheriff’s Office from a resident of Richland County who stated they had checked an unoccupied trailer house they had in the Theil Subdivision in the area of County road 352 and 121C. While checking the trailer the owner discovered that a bullet had went through a south facing window. The hole appeared to be bigger than a 22 cal., so the exact caliber is not known. 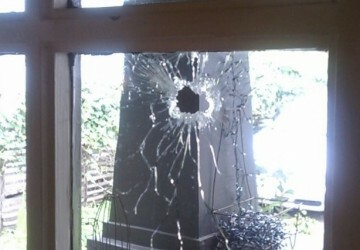 At this time it is unknown if the damage to the window and inside walls was caused intentionally or accidentally. This may have occurred between August of 2016 and January 13, 2017. It was estimated that damage to the window and walls at about $500.00. This week’s Richland County Crimestoppers is running a “Crime of the Week” that was run in February of this year and is still an active case. 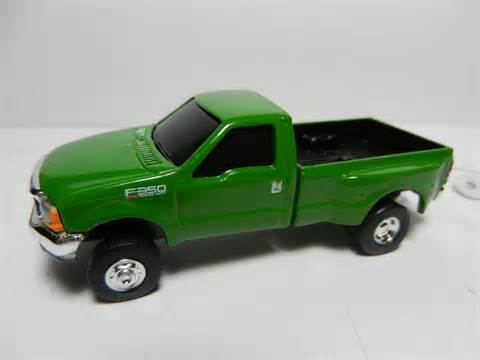 Crimestoppers believe that someone in our area has information on the theft of this Green Ford F-350 pickup. The Richland County Sheriff’s Office received the report on February 14, 2017 that missing for a residence south of Fairview, Montana was a Green 2008 Ford F-350 with a chrome brush guard in the front of the pickup, with a diesel engine. The pickup is a regular cab pickup with only driver and passenger doors, (not a cub or 4 door), which makes it a little different from the cabs of many newer pickups. The vehicle had Montana plates BBU828 and was reported taken during the early morning hours of February 14, 2017. The vehicle is reported to have a value of about $22,000.00 at the time of theft. Photo not actual stolen vehicle. As with any investigation it is possible that a member of the public have seen or heard something that may assist investigators with the investigation of this matter. Crimestoppers believes that someone may have information on the person or persons that took this Ford F-350 green pickup. If you have knowledge of information on this case or any crime, contact CRIMESTOPPERS by calling 433-6666 Monday through Friday between 8:00 AM and 5:00 PM. You can also contact Crimestoppers in Richland County by going to our New Crimestoppers website at www.richlandcs.com then going to Submit a Web Tip or by texting the code “CSRC plus your message to: 274637 (CRIMES). ** Check the Wanted Person section of the Richland County Crimestoppers website www.richlandcs.com each week for those wanted in Richland County. At least one new entry will be posted each week with photo if available. Crimestoppers is asking for information that would help lead to the arrest of those that have an active warrants in Richland County. Crimestoppers is asking for information on individuals or groups that are selling or providing illegal dangerous drugs, such as Methamphetamines (Meth), Marijuana, Heroin, prescription medication or any other illegal drug in the Richland County area. Law enforcement has report that even with the few number of people in our area, there is a large amount of selling of illegal drugs. Those under the influence of Meth often become agitated and feel “wired.” Their behavior becomes unpredictable. They may be friendly and calm one moment, angry and terrified the next. Some are compelled to repeat meaningless tasks: others pick at imaginary bugs on their skin. It is possible that you or someone you love is addicted to prescription drugs. 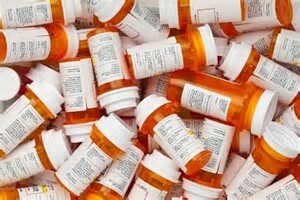 Most of us take prescription drugs only for the reason the doctor intended. Nevertheless, an estimated 48 million people (aged 12 and older), according to the National Institute of Drug Abuse, have used prescription drugs for nonmedical reasons in their lifetime. That figure represents approximately 20% of the U.S. population. Please contact Crimestoppers if you have any information on those distributing dangerous illegal drugs in our area. It is known that illegal drug activities lead to other crimes and problems in personal and family life. So, help us keep our community a safe place to live, work, and raise our children. As with any investigation it is possible that a member of the public have seen or heard something that may assist investigators with the investigation of this matter. Crimestoppers believes that someone may have information on the person or persons selling illegal dangerous drugs. If you have knowledge of information on this case or any crime, contact CRIMESTOPPERS by calling 433-6666 Monday through Friday between 8:00 AM and 5:00 PM. You can also contact Crimestoppers in Richland County by going to our New Crimestoppers website at www.richlandcs.com then going to Submit a Web Tip or by texting the code “CSRC plus your message to: 274637 (CRIMES). This week Richland County Crimestopper is a reported theft from the Town Pump south of Sidney. Upon investigation it was found that on January 17, 2017 a unknown male came into the Town Pump Store wearing a orange sweatshirt and was later observed in video shoplifting items from the store. Outside video shows the subject getting into a blue Dodge pickup short box with 4 doors. See attached in store video picture. Every day, more than $25 million worth of goods are stolen from retailers -- an amount that adds up to over $13 billion each year, according to the National Association for Shoplifting Prevention (NASP). Nearly every type of store out there, from thrift shops to supermarkets to department stores, is vulnerable to shoplifters` sticky fingers. In all, NASP estimates that there are 23 million shoplifters in the United States today (that`s one in 11 people!). And, in the last five years, over 10 million people have been caught shoplifting. This week Richland County Crimestopper is a Consumer Alert on a scam that is continually hitting our country and Richland County is also not being left out. Law Enforcement in Richland County has received reports of many different scams over the years, but the IRS Scam is one being reported the most lately. In the United States thousands of people have lost millions of dollars and their personal information to tax scams and fake IRS communication. Victims in Richland County have reported thousands of dollars lost to those claiming to be IRS agents. How are these IRS-Impersonation Telephone Scams working. Callers claim to be employees of the IRS, but are not. These con artists can sound convincing when they call. They use fake names and bogus IRS identification badge numbers. They may know a lot about their targets, and they usually alter the caller ID to make it look like the IRS is calling. Victims are told they owe money to the IRS and it must be paid promptly through a pr-loaded debit card or wire transfer (money order or bank transfer). If the victim refuses to cooperate, they are then threatened with arrest, deportation and insulting. Or, victims may be told they have a refund due to them tring to trick them into sharing private information (bank account numbers). If the phone isn’t answered, the scammers often leave an “urgent” callback request. They will call repeated times and demand payment be sent trying to break the victim down. · Call to demand immediate payment using a specific payment method such as a prepaid debit card, gift card or wire transfer. Generally, the IRS will first mail you a bill if you owe taxes. 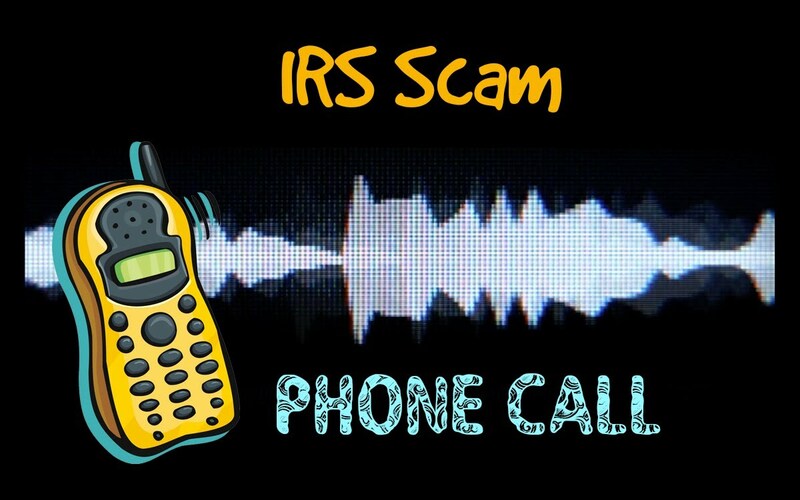 Scammers Change Tactics -- Aggressive and threatening phone calls by criminals impersonating IRS agents remain a major threat to taxpayers, but variation of the IRS impersonation scam continue year-round. How to report Tax-Related Schemes, Scams, Identity Theft and Fraud. This week Richland County Crimestopper is asking for information on a Burglary at Eagle County Ford in Sidney, Montana that was reported to the Sidney Police Department on September 12, 2016. Upon investigation of this it was found that sometime during the early hours of September 12, 2016 unknown suspect or suspects entered the business by breaking a window to gain entry into the business. Once inside various rooms and offices were gone through with damage to doors and cabinets. It was determined that a money bag with cash was taken in the burglary. This week Richland County Crimestopper is asking for information on a theft that was reported to the Richland County Sheriff’s Office on February 14, 2017. Reported missing from a residence south of Fairview, Montana was a Green regular cab 2008 Ford F-350 with chrome brush guard in front pickup, with a diesel engine. The vehicle had Montana plates BBU828 and was reported taken on the early morning hours of February 14, 2017 between the hours of Midnight and 7:15 AM. The owner reported the vehicle to be valued at about $22,000.00. This week Richland County Crimestopper is asking for information on Criminal Mischief that is being investigated by the Sidney Police Department. 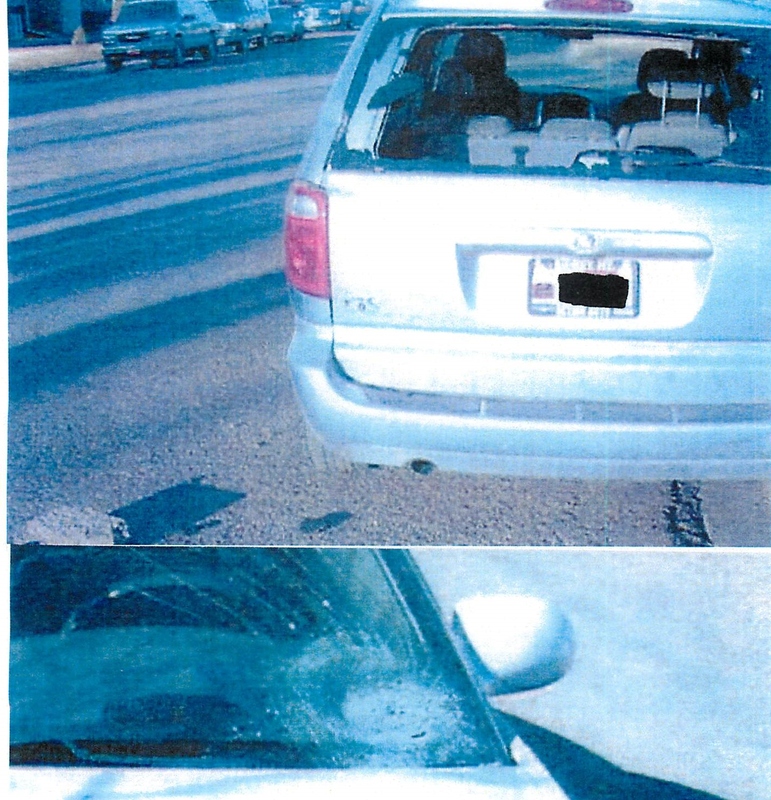 On February 28, 2016 the Sidney Police Department received three (3) reports of Criminal Mischief to vehicles that were parked on the street on 3rd Street NE from the 300 block to the 600 block. Upon investigation it was found that sometime during the late hours of February 27, 2016 to the early morning hours of February 28, 2016 unknown person or persons damaged three different vehicles on 3rd St. NE by taking a large piece of asphalt and throwing at the vehicles damaging windows and the body of the vehicles. It was found that all vehicles were damage by this large piece of asphalt that was found by one of the vehicles. Victims of the Criminal Mischief have reported to the Sidney Police Department damage to the three vehicles in the amount of $7000.00. This week Richland County Crimestopper is asking for information on thefts from oil production sites that have been reported to the Richland County Sheriff’s Office. 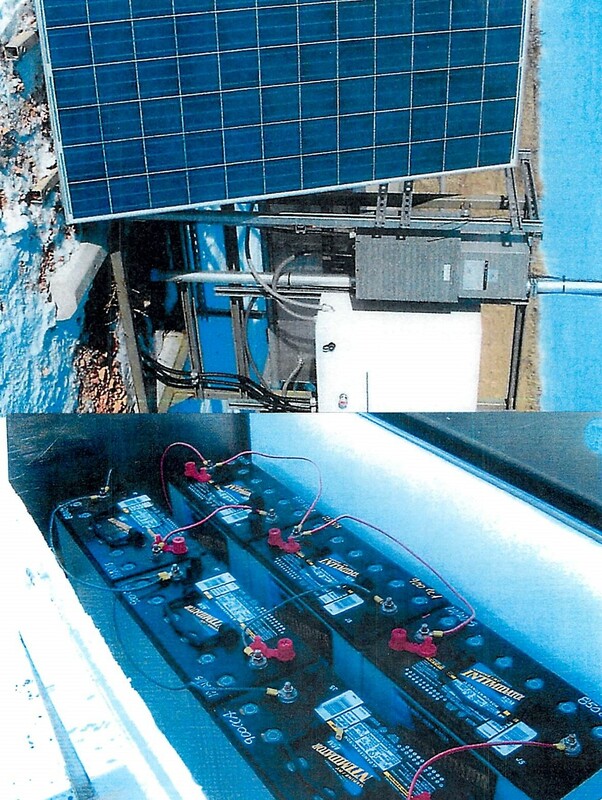 Since January 3, 2016 the Richland County Sheriff’s Office has received numerous theft reports from oil companies in our area of Solar panels, brackets, copper wire and batteries being taken from oil production sites in Richland County. 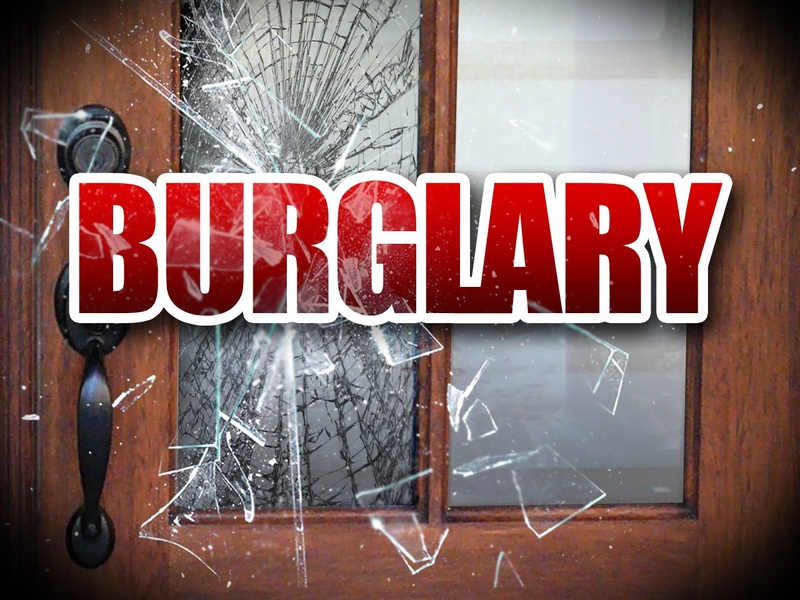 Many of thefts it has been determined occurred in the hours between 1 AM to 5AM. The Richland County Sheriff’s Office is working closely with reporting oil companies to develop information on those that are committing these thefts. Information has been developed from evidence from the oil sites and from search warrants that have been executed. The Richland County Sheriff’s Office with the assistance of Richland Crimestopper is asking anyone with information on these thefts to contact the Sheriff’s Office or Crimestoppers. Your information could be a vehicle you have seen near oil sites late at night or early morning hours, seeing solar panels on trailers, fish houses or any place that you haven’t seen them before or someone trying to sell solar panel and batteries to you. This week Richland County Crimestopper is asking for information on different thefts that have been reported to the Sidney Police Department. 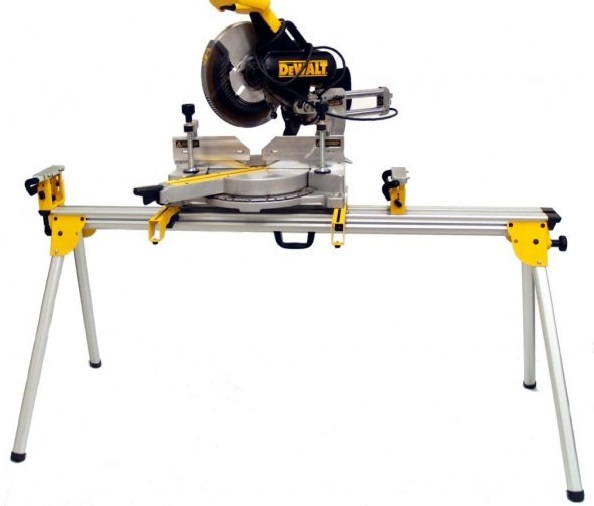 Since September of 2015 the Sidney Police Department has responded to a number of theft reports from residence mostly in the east side of Sidney with a number of battery powered hand tools mostly Dewalt brand being taken. The Sidney Police Department has also had multiple thefts of handguns, a blacksmithing forge with blower and a Stihl brand chainsaw thefts have occurred from vehicle and residence. These are just a few of the items that have been report stolen in the last 4 months. Crimestoppers ask everyone make sure that your property is secured and to lock your vehicle at all times when unoccupied. Please contact law enforcement if you see suspicious activities in your area, whether in town or in the county. Law Enforcement agencies are working 24/7, so you can contact them any time of the day. Watch out for your own property and your neighbors, help keep our community a safe place to live. As with any investigation it is possible that a member of the public saw or heard something that may assist investigators with the investigation of this matter. Crimestoppers believes that someone may have information on the person or persons that may have taken these items or saw the items at a later time. If you have knowledge of information on this case or any crime, contact CRIMESTOPPERS by calling 433-6666 Monday through Friday between 8:00 AM and 5:00 PM. You can also contact Crimestoppers in Richland County anytime (24/7) by going to our New Crimestoppers website at www.richlandcs.com then going to Submit a Web Tip or by texting the code “CSRC plus your message to: 274637 (CRIMES). On 12/4/15 the Sidney Police Department and the Richland County Sheriff`s Office responded to multiple complaints of theft and criminal trespass involving a male subject driving a dark blue Toyota pickup with North Dakota plates and damage to the front passenger side fender. The subject was located and arrested for multiple counts of felony theft, and during the ensuing investigation a significant amount of potentially stolen property was recovered from the suspect`s vehicle. While the owners of some of the property have been identified there are still numerous items whose owners have not yet been identified. 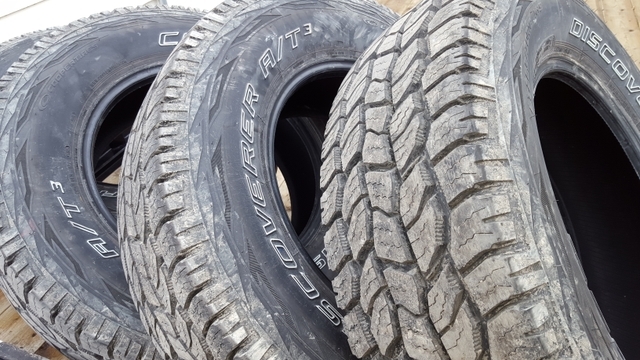 The unclaimed property includes power tools, hand tools, automotive wheels and tires, a generator, stereo equipment, a large sheet of aluminum, gas cans, and various other items. We are asking for the public`s assistance in identifying the owner or owners of the remaining property that is believed to be stolen. 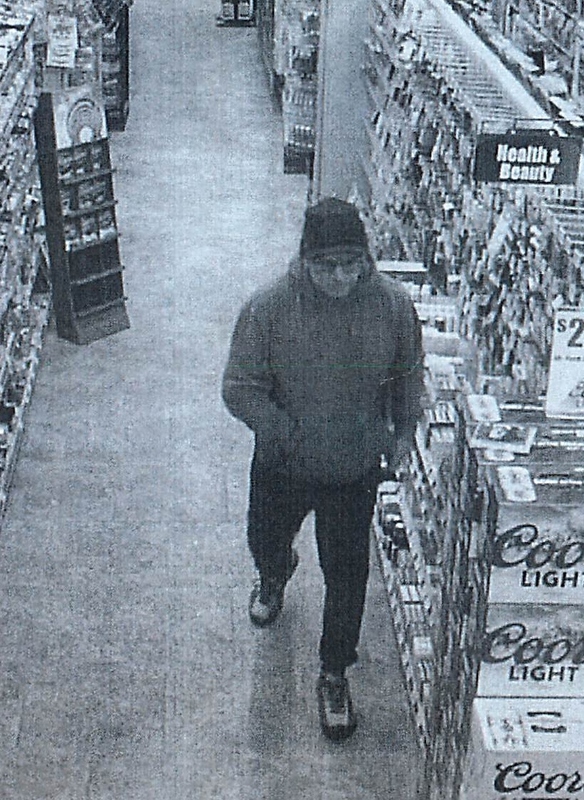 If you believe that you may have been a victim of this theft spree please contact the Sidney Police Department at 406-433-2210 or the Richland County Sheriff`s Office at 406-433-2919. This week Richland County Crimestopper is asking for information on the criminal Mischief to property, Criminal Trespassing and Burglary. On September 18, 2015 the Richland County Sheriff’s Office received a report from a resident living in the northwest part of Richland County out of Lambert, Montana. During the investigation it was found that on September 18, 2015 between the hours of 7 PM and 9:30 PM unknown person or persons entered a rural residence when into the upstairs bathroom turned on both the hot and cold faucets to the bathroom sink, plugged the drain and stuffed clothing in the overflow hole of the sink. This action caused the water to overflow the sink and causing water damage to the upstairs, main floor and basement of the residence. The owners of the house stated that they had left for about two hours to go to the Lambert Homecoming Football Game and returned to find the damage. They feel that someone would have known that they would be away from their residence during this time and went to the house to do the criminal mischief. Crimestopper is asking that anyone with information on who could be responsible for this to contact Crimestoppers. Please let area law enforcement know of any suspicious activity that you may see in your neighborhood or place of business. As with any investigation it is possible that a member of the public saw or heard something that may assist investigators with the investigation of this matter. Crimestoppers believes that someone may have information on the person or persons that entered this rural residence and caused extensive water damage. If you have knowledge of information on this case or any crime, contact CRIMESTOPPERS by calling 433-6666 Monday through Friday between 8:00 AM and 5:00 PM. You can also contact Crimestoppers in Richland County anytime (24/7) by going to our New Crimestoppers website at www.richlandcs.com then going to Submit a Web Tip or by texting the code “CSRC plus your message to: 274637 (CRIMES). Thanks you for supporting Crimestoppers. This week Richland County Crimestopper is asking for information on the littering of property on private land. On August 20, 2015 the Richland County Sheriff’s Office received a report from a Richland County resident of used furniture being thrown out on their private road west of the airport road. Upon investigating this complaint it was found that a used three section brown leather sofa and two wooden bar stools with the backs broken off prior to being left, had been thrown to the side of the roadway. These items would have been discarded around August 18th to the 20th. Crimestopper is asking any that may have information about who may have discarded this furniture or may know of someone disposing of furniture matching the description around that time frame to contact Crimestoppers. The dumping and throwing of garbage out on the roadways or private land is a very anointing problem everywhere. Most citizens are very good about disposing of their garbage or unwanted items in the proper manner; it’s just a few that don’t take the time to dispose of their waste in or at the waste disposal sites. Crimestoppers ask everyone not to Litter and report those that discard items improperly. As with any investigation it is possible that a member of the public saw or heard something that may assist investigators with the investigation of this matter. Crimestoppers believes that someone may have information on the person or persons that left these items on the side of the road on this private road just west of the road going to the airport. If you have knowledge of information on this case or any crime, contact CRIMESTOPPERS by calling 433-6666 Monday through Friday between 8:00 AM and 5:00 PM. You can also contact Crimestoppers in Richland County anytime (24/7) by going to our New Crimestoppers website at www.richlandcs.com then going to Submit a Web Tip or by texting the code “CSRC plus your message to: 274637 (CRIMES).